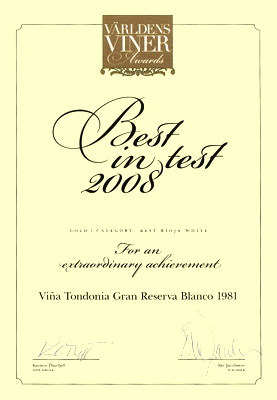 In November 2008 Viña Tondonia Gran Reserva White 1981 received the Gold Category for Best Rioja White by VÄRLDENS VINER AWARDS of SWEDEN. 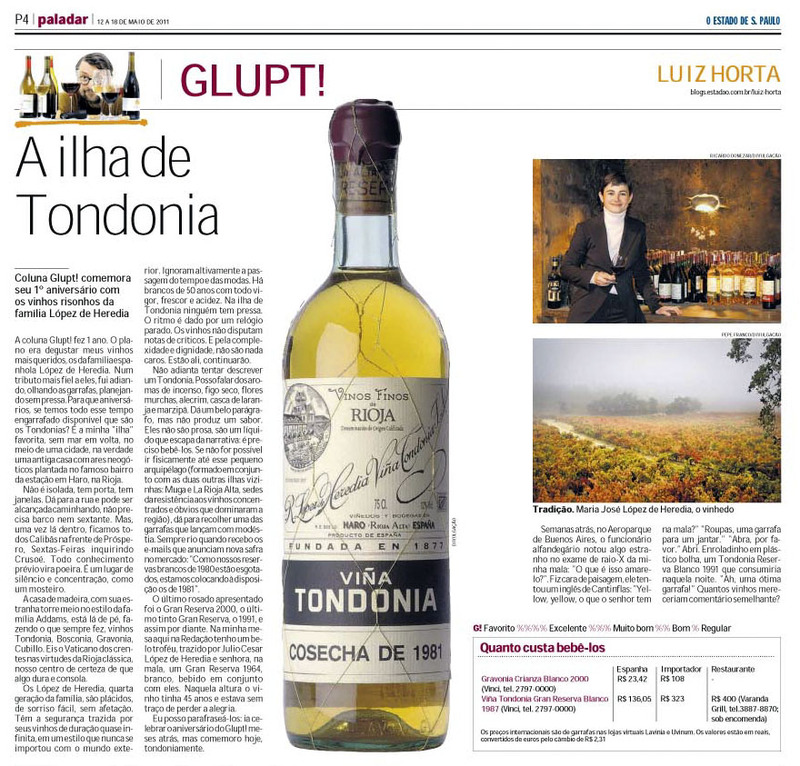 This uncommon golden white wine is a blend of 85% Viura and 15% Malvasía, has spend 10 years in barrel and the rest in bottle and matches perfectly with al kind of fish, seafood and white meats. 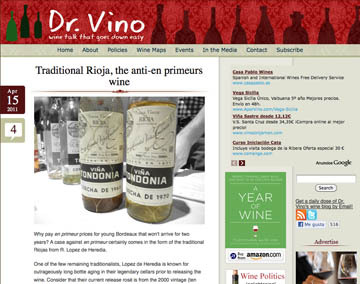 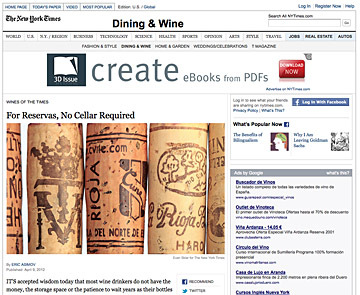 Eric Asimov in The New York Times talks about Spanish wines and mentions our white wines Interestingly, the crisp, refreshing style of white wine that Marqués de Riscal came to Rueda to produce is now the prevailing style among white Riojas, which themselves offer some excellent values in inexpensive white wine. 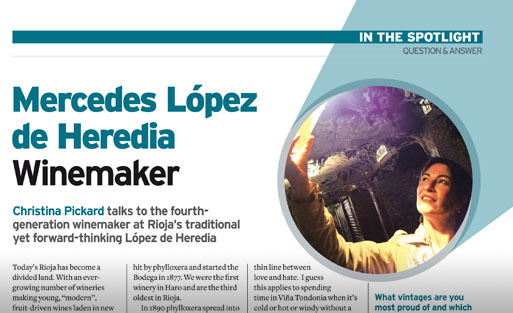 The older, oaky style of white Rioja is harder to find, though it is expressed brilliantly by just a few producers like R. López de Heredia.